1 Bedroom Flat For Sale in Milton Keynes for Asking Price £42,000. TIME TO GET ON THE HOUSING LADDER. This one bedroom first floor apartment in the sought after location of Walnut Tree is being offered on a 30% share. Walking distance to all amenities including Tesco Express, Fish and chip shop, the post office, pub and more ! 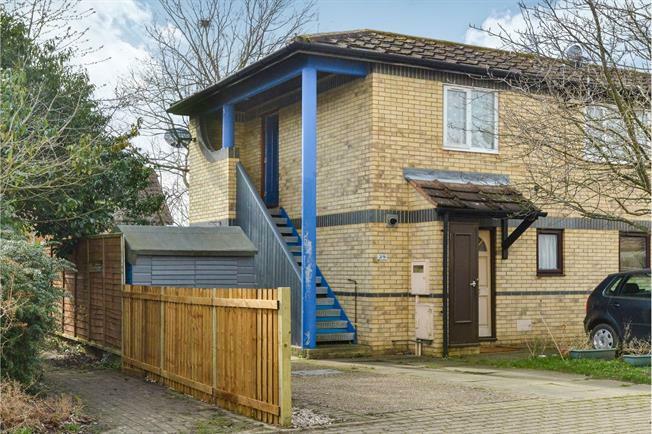 In brief the property comprises a large entrance hall with doors onto storage cupboards, double bedroom, bathroom and open plan living kitchen space. This fantastic apartment comes with two parking spaces right in front of the property and its own garden area perfect for the summer evenings ! Monthly rent and service charge only 196.87 !! This property will not be on the market for long so call NOW so you do not miss out. Large entrance hall with doors leading to the two storage cupboards, bedroom, bathroom and kitchen living area. Laminate flooring. Laminate flooring throughout, views out to the side and rear of the property. A truly fantastic living space for any couple of single person. Fully carpeted double bedroom with access to loft. Obscured window, low level WC, hand wash basin, panelled bath with shower.